Hot springs at the site of the Tatio Geysers. 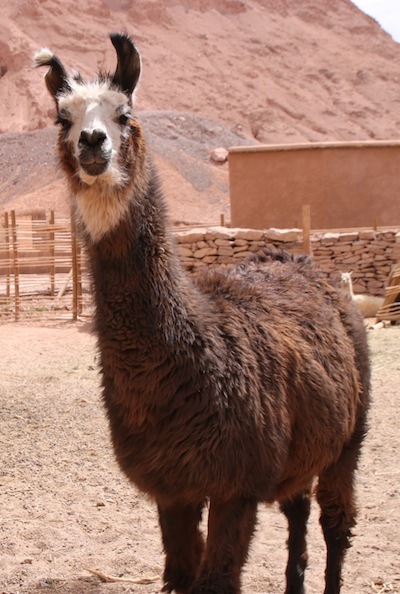 SAN PEDRO DE ATACAMA, Chile — Northern Chile’s top tourist destination is this desert town. Visitors come to see salt flats and their flamingos, volcanoes and a salt mountain range, petroglyphs, saltwater pools (handy for a good float), hot springs, geysers and some incredible scenery. Atacama is good for stargazing, as well. Tourists use hotel telescopes, but the desert also hosts the world’s largest astronomical project, funded by many countries including the U.S. and Canada. San Pedro is worth some time, too, for its adobe architecture, museum, restaurants and shopping. Visitors generally stay at small in-town hotels or in one of several resort-like facilities on the outskirts. I finally had the opportunity to discover some of Atacama’s attractions during a visit last fall, traveling with a small group of journalists. To get there, we flew from Santiago north to Calama then drove for about 90 minutes to reach our hotel, the Alto Atacama. This upscale property, two miles outside of San Pedro, was built in the style of a traditional adobe settlement and blends in with the red mountains around it. A llama on the grounds of the Alto Atacama Desert Lodge & Spa. be sprayed with stinky spit in return. We were. 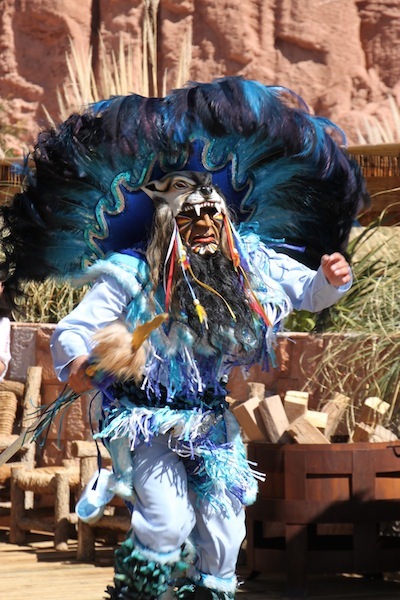 A dance program, reflecting Atacameno traditions, seen at a Saturday barbeque at the Alto Atacama Desert Lodge & Spa. The Alto Atacama includes six small outdoor pools (one a Jacuzzi) and a spa. The resort also functions as a tour operator, offering guests a pricing option that includes all sightseeing excursions. The hotel was our tour operator, too. As for the Atacama itself, it is the world’s highest-altitude desert, averaging 13,000 feet, and it includes the world’s highest volcanoes. Atacama is the world’s driest desert. As I reported in my book, Travia: The Ultimate Book of Travel Trivia, some parts have never experienced a recorded rainfall. A key source of moisture is fog, which locals capture in special fog-catcher nets. Finally, given the altitude, this desert is the world’s coldest, averaging between 32F and 77F.